Home » Bình luận » Mr Kerry USA: Người Việt Tị Nạn chưa chết hết !!! Mr Kerry USA: Người Việt Tị Nạn chưa chết hết !!! Đây là một lời kêu gọi giúp đỡ cho Liên Minh Dân Tộc Vì Hòa Bình và Công Lý (PCPJ). Trong những tháng qua, Liên Minh Dân Tộc Vì Hòa Bình và Công Lý (PCPJ). đã hỗ trợ Hội Cựu Chiến Binh Phản Chiến bằng nhiều cách. Liên Minh Dân Tộc Vì Hòa Bình và Công Lý (PCPJ) đã cung cấp miễn phí văn phòng làm việc cho Hội Cựu Chiến Binh Phản Chiến, và Liên Minh cũng cho phép Hội được sử dụng tất cả các thiết bị văn phòng cần thiết như máy máy quay rô nê ô, máy làm stencil thư mục và máy đánh chữ. Họ cho chúng tôi mượn chiếc xe hơi, phương tiện thông tin, và thiết bị địa chỉ công cộng. Nhân viên của họ đã tiếp nhận thông tin báo chí cho chúng tôi và giúp chúng tôi tham gia cùng chúng tôi trong tình đồng chí để giúp đỡ cho chúng tôi cùng tiến bộ của chúng tôi. Bây giờ là lúc mà chúng ta có thể đáp trả lại bằng sự hỗ trợ này. 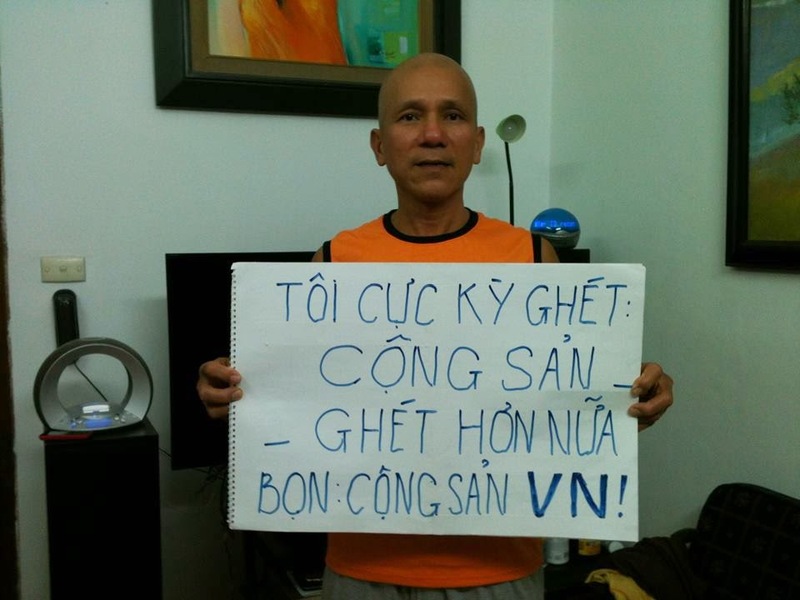 Nguyên Văn: JOHN KERRY AND THE VVAW: HANOI'S AMERICAN PUPPETS? Two recently discovered documents captured from the Vietnamese communists during the Vietnam War strongly support the contention that a close link existed between the Hanoi regime and the Vietnam Veterans Against the War (VVAW) while John Kerry served as the group's leading national spokesman. -- Circular on Antiwar Movements in the US. The reference to "VC" indicates the Vietcong; "NVN" is the North Vietnamese government. This sentence is particularly important in light of John Kerry's admission that he met with leaders of both communist delegations to the Paris Peace Talks in June 1970, including Madame Binh, foreign minister of the Provisional Revolutionary Government (PRG) of South Vietnam, also known as the Vietcong. FBI files record that Kerry returned to Paris to meet with the North Vietnamese delegation in August of 1971, and planned a third trip in November. Prior to the discovery of the Circular, there was no direct evidence that Hanoi was actually steering the U.S. antiwar movement's activities by conveying Hanoi's goals and wishes to movement leaders during their frequent visits to Paris, though many investigators had assumed that to be the case. Further analysis of this document supports the contention that Madame Binh used her Paris meeting with John Kerry to instruct him on how he and the VVAW might best serve as Hanoi's surrogates in the United States. In the spring and summer of 1971, a key strategy of Hanoi was to advance what was known as Madame Binh's Seven Point Peace Plan. The plan was cleverly constructed to force President Nixon to set a date to end the Vietnam War and withdraw American troops. According to the 7-Point Peace Plan of Madame Binh, the only barrier to Hanoi setting a date to release American Prisoners of War was President Nixon's unwillingness to set a specific date for military withdrawal. Of course, accepting the full terms of the 7-Point Peace Plan would have amounted to an American capitulation, a virtual surrender that included the payment of reparations to the Vietnam communists as an admission that America was the wrongful aggressor in an immoral war. The seven-point peace proposal ((of the SVN Provisional Revolutionary Government)) not only solved problems concerning the release of US prisoners but also motivated the people of all walks of life and even relatives of US pilots detained in NVN to participate in the antiwar movement. -- Circular on Antiwar Movements in the US. "SVN" indicates the South Vietnam Provisional Revolutionary Government, i.e., the Vietcong. "NVN" refers to North Vietnam. 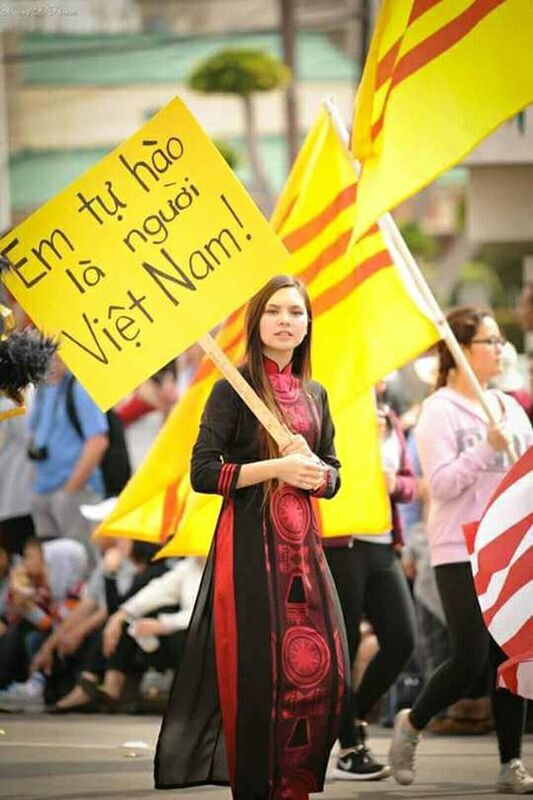 The Nixon-Thieu clique is very embarrassed because the seven-point peace proposal is supported by the SVN people's (( political struggle)) movement and the antiwar movements in the US. Therefore, all local areas, units, and branches must widely disseminate the seven-point peace proposal, step up the people's ((political struggle)) movements both in cities and rural areas, taking advantage of disturbances and dissensions in the enemy's forthcoming (RVN) Congressional and Presidential elections. They must coordinate more successfully with the antiwar movements in the US so as to isolate the Nixon-Thieu clique. -- Circular on Antiwar Movements in the US. "RVN" refers to the Republic of Vietnam, the government in South Vietnam supported by the US. The Viet Cong plan to continue their efforts to win worldwide opinion to their side and to solicit as much material support for the VC struggle as possible from other countries in order to create a favorable climate for the VC at the Paris Peace Conference. The Viet Cong will continue to promote domestic unrest against the war in the United States in order to speed withdrawal of US troops and create pressure for an end to the war. Efforts will be directed toward the US soldier in Vietnam to demand that they be returned to the US and be reunited with their families and wives. The VC will strive to create anti-draft and anti-war attitudes in the US by organizing VC sympathizers in the US to contact families with sons in Vietnam and urge them to call their sons home. Also VC sympathizers in the US will be organized to distribute anti-draft leaflets to students and young people. On February 1, 1971, at their Winter Soldier Investigation in Detroit, the VVAW released a statement by Virginia Warner, mother of American POW Jim Warner, urging President Nixon to "end the war so the prisoners of war can come home." 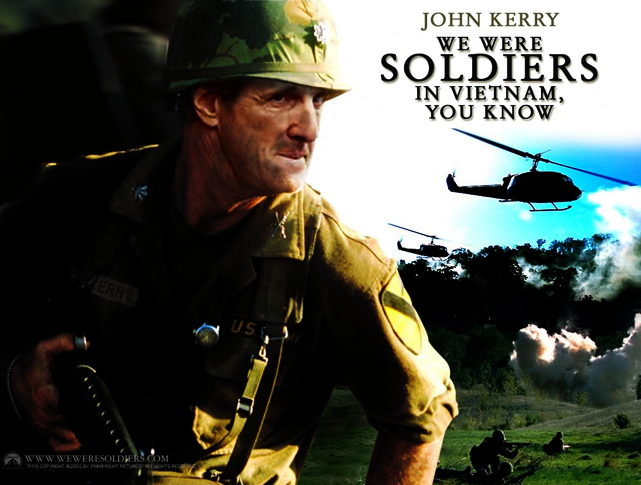 Jim Warner has accused John Kerry of exploiting his mother's fears to obtain this statement. On July 22, 1971, John Kerry held a press conference in Washington, DC, to call upon President Nixon to accept Madame Binh's 7-Point Peace Plan. Kerry surrounded himself at the press conference with POW wives, parents and sisters who had been recruited to promote his message. The event was reported in The New York Times of July 23, 1971 and the communist Daily World of July 24, 1971. Each article included a photograph of Kerry surrounded by POW family members. Kerry's use of POW families directly advanced the North Vietnamese communist agenda as described by enemy defectors and in the newly discovered Circular, which suggests that Madame Binh had recommended the same course of action to antiwar activists meeting with her in Paris. The second document, captured by US military forces in South Vietnam on May 12, 1972, is a communist Directive designed to motivate discussions within Vietnam about promoting the ongoing antiwar activities in the United States. The fifth paragraph of this document makes clear that the Vietnamese communists were utilizing for their propaganda purposes the activities of the Vietnam Veterans Against the War. The protest described as occurring from April 19 through April 22, 1971 coincides directly with the dates of Dewey Canyon III, the Washington, DC, protest led by John Kerry, during which John Kerry's testimony before Senator Fulbright's Foreign Relations Committee was a televised centerpiece. The description of the protest activities in the Directive even include the "return their medals" ceremony in which John Kerry and other VVAW members threw their medals and/or ribbons toward the steps of the US Capitol, with several shouting threats of violence against their government as they did so. Of the US antiwar movements, the two most important ones are: The PCPJ ((the People's Committee for Peace and Justice)) and the NPAC ((National Peace Action Committee)). These two movements have gathered much strength and staged many demonstrations. The PCPJ is the most important. It maintains relations with us. -- Circular on Antiwar Movements in the US (emphasis added). The House Internal Security Committee in its 1971 Annual Report described the PCPJ as an organization strongly controlled by US communists: "There is no question but what members of the Communist Party have provided a very strong degree of influence, even a guiding influence, in the evolution and formation of policies of the Peoples' Coalition for Peace and Justice." Recently released FBI surveillance reports establish a strong link between John Kerry, Al Hubbard, the VVAW, the PCPJ, and their trips to Paris to meet with Madame Binh. As discussed in Unfit for Command, Hubbard, the Executive Secretary of the VVAW and a hard-line radical with ties to the Black Panthers and the PCPJ, had directly recruited John Kerry into the VVAW's Executive Committee, bypassing the organization's election process. Al Hubbard's own claim to have been a transport pilot wounded in combat was discredited when the Department of Defense released documents demonstrating that, though Hubbard had been in the Air Force, he was neither a pilot nor an officer, had never served in Vietnam and had never been in combat. John Kerry shared the stage with Al Hubbard during the Dewey Canyon III protest in Washington, D.C., and he appeared together with Hubbard on NBC's Meet the Press on April 18, 1971. Hubbard also signed the People's Peace Treaty, a PCPJ document that reiterated the positions of North Vietnam and the Vietcong, on behalf of the VVAW. An FBI field surveillance report stamped November 11, 1971 reported that the FBI had learned at the Regional VVAW Convention in Norman Oklahoma, on November 5-7, 1971, that John Kerry and Al Hubbard were planning to travel to Paris later in the month to engage in talks with the Vietnamese communist peace delegations. While this document is heavily redacted, other FBI reports make it clear that the Communist Party of the USA was paying for Al Hubbard's trips to Paris. IT IS NOTED THAT THE "COMMUNIST PARTY" REFERRED IN RETEL IS PROBABLY THE COMMUNIST PARTY, USA, BECAUSE AL HUBBARD IS A MEMBER OF COORDINATING OF PEOPLES COALITION FOR PEACE AND JUSTICE (PCPJ), AS ARE GIL GREEN, MEMBER OF NATIONAL COMMITTEE, COMMUNIST PARTY, USA AND JARVIS TYNER, NATIONAL DIRECTOR, YOUNG WORKERS LIBERATION LEAGUE. HUBBARD, GREEN AND TYNER HAVE ATTENDED SAME NATIONAL MEETINGS OF PCPJ. -- Federal Bureau of Investigations, Field Surveillance Report, filed November 11, 1971. A copy of this report was air-mailed to the Boston FBI office in reference to John Kerry. Two foreign groups, which are Democratic Republic of Vietnam (DRV) and Peoples Republic Government (PRG) (phonetic), invited representatives of the VVAW, Communist Party USA (CP USA), and a Left Wing group in Paris, to attend meeting of the above inviting groups in Paris. Hubbard advised he was elected to represent the VVAW. An unknown male was invited to represent the CP USA and an unknown individual was elected to represent the Left Wing group from Paris. He advised at the meeting that his trip was financed by CP USA. -- Federal Bureau of Investigations, Field Surveillance Report, filed November 24, 1971. This is an appeal for help for the Peoples Coalition for Peace and Justice. Over the past months the Peoples Coalition has supported the Vietnam Vets Against the War in many ways. The Coalition has made office space available at no charge, and permitted the use of all necessary office equipment such as mimeograph machines, stencil-making machines, folders and typewriters. They have loaned us cars, bullhorns, and public address equipment. Their staff has taken messages for us and joined fraternally in building our progress. Now we can return this support. Saturday, April 24, the Coalition needs help collecting money and selling buttons at the great march and rally. Collectors and sellers must be energetic and determined. Theree will be security problems in taking large amounts of money to banks. The Coalition needs people power, hundreds of workers. I earnestly hope that you will come forward to support our friends in this emergency. -- Letter signed by Al Hubbard, addressed from the Vietnam Veterans Against the War office at Room 900, 1029 Vermont Ave. N.W., Washington, D.C., dated April 20, 1971. Found in the House Internal Security Committee subject files, Washington, D.C.
Two days after the letter was written, John Kerry gave his famous testimony to Senator Fulbright's Foreign Relations Committee in which he likened the American military in Vietnam to the army of Ghengis Khan. The march and rally for which Hubbard was recruiting VVAW assistance was the PCPJ's massive April 24 demonstration in Washington, which immediately followed the VVAW's week-long Dewey Canyon III protest. 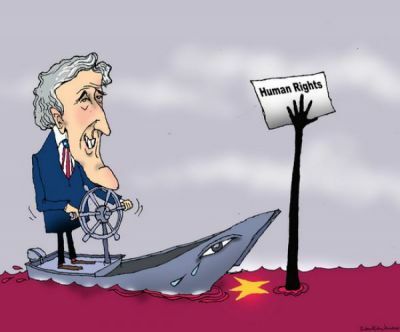 The communist Daily world reported on April 27 that "Tributes were paid to the special role of the Vietnam Veterans" at the PCPJ rally, and went on to quote at length from John Kerry's speech at that event. Other examples of the VVAW's advocacy of Vietnamese communist positions during the period of John Kerry's leadership abound. The group issued a proclamation in February 1971 calling for mass civil disobedience and military mutiny if American forces entered Laos. After the war, North Vietnamese military leaders acknowledged that one of their greatest fears was that America would move significant forces into Laos to interdict the Ho Chi Minh Trail. The VVAW's eagerness to comply with the wishes of the Vietnamese communists even extended to its choice of nomenclature. The VVAW's Executive Committee stated in a July 1971 meeting that the terms "Vietcong" and "North Vietnamese" were not to be used in VVAW press releases and communications. Instead, "PRG (Provisional Revolutionary Government)" and "DRV (Democratic Republic of Vietnam)"... "are to be used by us to reflect our acceptance of their designations." And the VVAW's unremitting insistence that American forces were mass-murdering Vietnamese civilians perfectly echoed the primary propaganda theme put forth by the Vietnamese communists, their international communist allies, and their Soviet sponsors. The newly uncovered documents help clarify the relationship of the North Vietnamese, the Vietcong, the PCPJ, the Communist Party of the USA, and John Kerry's VVAW. They indicate that these organizations worked closely together, using the Paris Peace Talks as a central point of communication, to employ the strategy and tactics devised by the Vietnamese communists to achieve their primary objective: the defeat of the United States of America in Vietnam. Được biết trong chuyến công du Việt Nam lần đầu tiên với tư cách Bộ trưởng Ngoại giao Hoa Kỳ hôm nay, ông ghé Sài Gòn đi lễ Nhà thờ Đức Bà và xuống thăm đồng bào tôi ở Đồng bằng Cửu Long, tôi cảm thấy vừa vui vui vừa lo lo thế nào ấy. Được vui vui thì cũng tốt (rồi) thôi, nhưng vì có bề lo lo thì bỏ qua chẳng đặng, nên tôi mạo muội có thư này gửi ông. 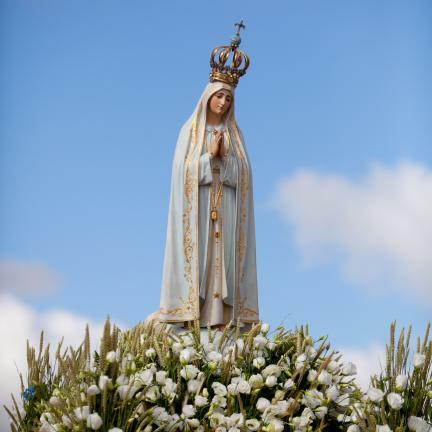 Tôi lo ông Kerry lại “carry mistake” - vác thêm lỗi lầm - cho người Việt Nam chúng tôi thêm nữa. Hồi xưa ông phản chiến là một lỗi lầm đại tai hại. Nó đã góp phần làm cho quân đội đồng minh mà ông được phái đến chiến đấu chống lại kẻ thù chung của Tự Do Dân Chủ phải mất nước và tổ quốc Hoa Kỳ của ông thì mất mặt. Thưa ông Ngoại trưởng, trước đây dù nghe ai nói ngã nói nghiêng hay đọc sách báo điên đầu, tôi vẫn không tin có chuyện người lính Mỹ chiến đấu ở Việt Nam khi trở về nước bị đồng bào minh ném đá, nhổ nước bọt vào mặt, cho đến khi tôi trực tiếp gặp và được một cựu chiến binh Hoa Kỳ có tên là Bob Johnson thuộc Sư đoàn 1 Kỵ Binh Không vận Mỹ xác nhận đều đó vì chính anh là nạn nhân của phong trào phản chiến mà ông Kerry đã góp công không nhỏ vào “thành tích” biến bạn thành thù và thù thành bạn. 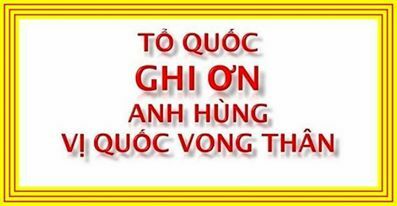 Theo thời gian, sự thật đã phơi bày, và “Tổ quốc” phản chiến Mỹ của ông đã biết “ăn năn” bằng Bức tường Đá đen, bằng nỗ lực phục hồi danh dự cho những cựu chiến binh Mỹ tham chiến ở Việt Nam, điển hình qua các buổi lễ Chiến sĩ Trận Vong và ngày Cựu Chiến binh mỗi năm. Cho đến nay đã có nhiều “nhà” phản chiến trong đó có Jane Fonda biệt danh “Hanoi Jane” cũng đã “ăn năn tổ quốc”, nhưng cựu anh hùng Người Nhái thì vẫn tiếp tục lặn sâu khiến bao nhiêu lần Dự luật Nhân Quyền Cho Việt Nam lên đến Thượng viện là bấy nhiêu lần bị Tiểu Ban Đông Á và Thái Bình Dương do chủ tịch là TNS John Kerry “bóp mũi” chết tại chỗ. Bây giờ với tư cách người đại diện cho nước Mỹ về ngoại giao, nếu ông chỉ đến để ca ngợi Việt Nam ngày nay tiến bộ hơn nhiều so với cách đây hơn 40 năm lúc ông còn ngồi trên ca nô đảo khắp kinh rạch đồng bằng Cửu Long để “tìm và diệt địch” mà quên đi cái “vế” nếu ông không phản chiến và Miền Nam Tư Bản không lọt vào tay Cộng Sản Miền Bắc thì với nền Kinh tế Thị trường không bị cái đuôi XHCN định hướng vướng vào sau 1975, Miền Nam còn “ngon lành” hơn nhiều, tệ lắm thì cũng cỡ Nam Hàn, Đài Loan, Mã Lai... mà bây giờ nhà cầm quyền đang mơ ước có ngày theo kịp họ. Tôi xin gửi đến ông lời chào trân trọng và cảm ơn ông đã đọc thư này.